BRIAN GREENE: Naturally, scientists quite generally and string theorists in particular often describe their work without giving all of the associated qualifications all of the time. I, for example,have spoken of string theory as a possible final theory, as the possible theory that would unite all forces and all matter in one consistent framework—and I generally try to say—but perhaps not always—that this is not yet a proven theory; this is our hope for what it will achieve. We aren’t certain that this is where it is going to lead. We just need to explore and see where we land. PAUL STEINHARDT: What angers people, I think, is the notion that the ultimate theory of physics might allow a googol possibilities. That is, even though everywhere we look in the universe has the same laws as far as we can see and seems remarkably smooth and uniform—more uniform than we needed for human existence—somehow we are supposed to believe that the greater universe that we can't ever see is completely different. I think many people wonder whether a theory like that is science, or metaphysics? WALTER ISAACSON: That's exactly it: we were talking about why it is that it arouses such passion and then started directly debating string theory. I'd love to take it right back to Einstein—twice you said something that I find very interesting, which is, we have to find a way to make his two grand pillars of 20th century physics compatible, general relativity and quantum theory. Of course Einstein totally would believe that, because he loved unification, he loved unity. Secondly he and Newton agreed on one big thing, which is that nature loves simplicity. But I've always wondered about the more metaphysical philosophical question: how do we know that God likes simplicity? How do we know he wants these things to be compatible? How do we know that quantum theory and relativity have to be reconcilable? Last year, in My Einstein, a book of essays by twenty-four leading thinkers, I asked each of the contributors to share their thoughts on who is their Einstein. This led me to ask the same questions to the Edge symposium participants. "That's a hard question and there are many answers I'd give," Brian said, "but I'd say my Einstein surrounded learning—not learning, really hearing—in junior high-school that there is this feature of time whereby if you're moving relative to somebody else time elapses at a different rate compared to the person who's stationary, and thinking to myself, that sounds completely nuts, I really want to understand what this is all about. And little by little finally learning what it actually means, and going on from there to try to push the story a little bit further." Walter's response: "Einstein is obviously my father," he said, "who as an engineer loved science and instilled that in me, but also has a lot of Einstein's moral nature to him, and political morality to him. I remember every day growing up, his asking me questions and pushing me in a certain way. One of the things I've learned as a biographer, and the first thing you learn, is that as you write about your subject, it's all about Dad—for Ben Franklin it's all living up to his father in a certain way; even to Einstein, a bit— his father's an engineer. And then the second thing you learn is, even for the biographer, it's all about Dad, and that's why I wanted to write about Einstein—I shouldn't say my father's an Einstein, he's just an engineer in New Orleans, but that was his aspirational secular saint, and so I wrote the book and dedicated it to my father." Paul had a similar response. "One of my earliest memories of childhood," he recounted, "was sitting on my father's knee and his telling me stories about scientists and discovery. He wasn't a scientist, he was a lawyer, but for some reason he used to tell me stories about scientists and different discoveries they made—I remember stories about Madame Curie and Einstein and others." "From that very initial instance, what I wanted to do was be in a field where you got to make discoveries. The thing that always impressed me the more I learned about Einstein was his uncanny ability to take the wealth of phenomena that people were studying at the time, and pick out not only which were the important questions, but which were the important questions that were answerable. There are always lots of questions you'd like to answer, but knowing whether or not you have the technology, the mathematical technology and the right ideas to attack them at the time—that's a real talent. Einstein had the incredible talent to do that over and over and over again, ahead of any of his contemporaries. So, for me he's the ultimate discoverer. That is my Einstein." 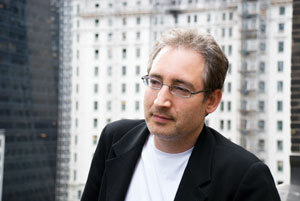 BRIAN GREENE is a professor of physics and of mathematics at Columbia University, is the author of The Elegant Universe: Superstrings, Hidden Dimensions, and the Quest for an Ultimate Theory and The Fabric of the Cosmos: Space, Time, and the Texture of Reality. He is also the presenter of the three-part Nova program, The Elegant Universe, available on DVD. 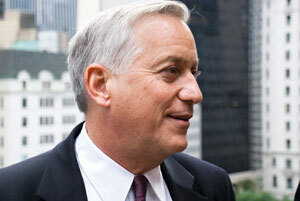 WALTER ISAACSON, the President and CEO of the Aspen Institute, has been the Chairman and CEO of CNN and the Managing Editor of Time magazine. A noted biographer, his books include Benjamin Franklin: An American Life; and Einstein: His Life and Universe. 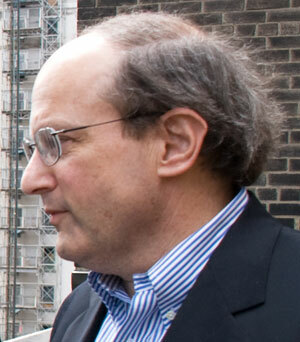 PAUL STEINHARDT, a physicist, is the Albert Einstein Professor in Science and on the faculty of both the Departments of Physics and Astrophysical Sciences at Princeton University. He is the coauthor (with Neil Turok) of The Endless Universe: Beyond The Big Bang. BRIAN GREENE: When it comes to Albert Einstein, his contributions are of such incredible magnitude that to get inside his head, and even for a moment to get a feel for what it would be like to see the world with such clarity and such insight, would be amazing. But if I was going to ask him one question, I would probably stick to one a little bit more down to earth, which is—he famously said that when it came to the general theory of relativity, in some sense he wasn't waiting for the data to show whether it was right or wrong; the theory was so beautiful that it just had to be right. And when the data came in and confirmed it, he claimed he wasn't even surprised, he in fact famously said that had the data turned out differently, he would have been sorry for the [dear lord?] because the theory was correct. That's how much faith he had in theory. So the question I have is, we, many of us, are working on Einstein's legacy in a sense, which is trying to find the unified theory that he looked for such a long time and never found, and we've been pursuing an approach called super string theory for many years now. And it is a completely theoretical undertaking. It is completely mathematical. It has yet to make contact with experimental data. I would like to ask Einstein what he would think of this approach to unification. Does he see the same kind of beauty, the same kind of elegance, the same kind of powerful incisive ideas in this framework to give him the confidence that he had in the general theory of relativity? It would be great to have a response from him in that regard, because we don't know when we're going to make contact with experimental data. I think most of us in the field absolutely will never have faith that this approach is right until we do make contact with data, but it would be great to have the insight of the master as to whether he feels that this smells right. That it is going in the right direction. Many of us think that it is, but it would be great to have his insight on that question as well. WALTER ISAACSON: I was going to ask him the same question that Brian asked him, but I'll extend it now a bit more. Einstein, in the final two decades of his life, and even the final two hours of his life, on his deathbed, is writing equations, very mathematical, trying to do the unified theory that will bring together the various forces of nature into a field theory approach. Brian posed the question of whether or not Einstein would approve of this—and I really think he would, because if you look at the maybe 12 serious efforts he made towards a unified theory, they do have so much in common with the mathematics and the mathematical approach that is being done by super string theory, including looking at extra dimensions and using the mathematics that way, to try to find the elegant mathematical solution. That would lead to the next question I have about Einstein, which is, in the first part of his career and, may I posit, the more successful part of his career, he didn't rely that much on mathematical formalism. Instead, in all of the 1905 papers and in the main thought experiments that set him on the way towards general relativity culminating in 1915, he had some physical insight. In fact, the people looking at his general theory of relativity call it the mathematical strategy and the physics strategy. Obviously they're not totally separate, in their iterative process, but he spent the period from 1905 through at least 1914 almost disparaging mathematics as a clean-up act that people would come along and help him do once he understood the equivalence of gravity and acceleration or the other great thought experiments he did. If you look at what he does later in life, with the unified theory, people like Banesh Hoffman and others who were his collaborators say, we had no physical insight to guide us, nothing like the principle of the equivalence of gravity and acceleration, or some other great insight, and instead it became more and more mathematical formalism, without what Einstein called the ground lights that would touch us, as we've just said, to physical reality more. And there are some who think—and I kind of feel this way, which is why I've adopted this idea—he had used the physical strategy, the physics approach, so much from 1905 to around 1913–1914, and even in the Zurich notebooks where he tries to get general relativity and the equations of gravity right, and he just can't quite get them, and he's racing against David Hilbert, who's a Göttingen mathematician who has the advantage of being a better mathematician but also an added advantage of not being as good of a physicist. Hilbert's not there worrying about whether it reduces to the Newtonian in the weak field or whatever—he's just pursuing general covariance as a mathematical strategy in order to get the field equations of gravity. Einstein finally adopts that approach and it puts him there, it makes him succeed through what is a very mathematical strategy, and then for the rest of his life he spends a lot of time on mathematical formalism instead of worrying about the intuitive physics behind everything. Was that the right approach? Is that what's happening with string theory? Is that the better way to do it; is that what you have to do? As Einstein said, when he was asked about this, that's the way you have to approach things now, we don't have any blinding new physics insight. Finally the bigger question is, when he fights—and I do think that his quest for a unified theory comes out of his discomfort with quantum mechanics—when he is pushing against the people in the realm of quantum mechanics, they push back, and they say things like, well, we're just doing what you used to do; we're questioning every assumption. We're saying, unless you can observe something there's no reason to posit that it exists. Einstein is saying, yes, but that doesn't make sense now. They responded, well you always questioned authority and questioned everything unless you could actually observe it, and now you're resisting us. Einstein said, well, to punish me for my contempt for authority, fate has turned me into an authority myself. I'm no longer quite as rebellious, is what he's saying. So why is it that he becomes in some ways more defensive of the classical order and less rebellious, even as he's trying to pursue the unified theory? PAUL STEINHARDT: The question that I have about Einstein relates to the one that Brian raised, but with a twist, because I see what has been happening in theoretical physics in the last 30 years, and especially in the last few years, maybe from a slightly different point of view. Over the last 30 years, there have been grand ideas that have emerged in theoretical physics that were meant to simplify our understanding of the universe. One is the idea of inflation; the idea that there was a period of very rapid expansion that smoothed and flattened the universe and which explains why when we look out anywhere in space it looks almost the same everywhere. And it is of course based on Einstein's theory of general relativity, and relates directly to his introduction of the cosmological constant back in 1917, but elaborated in a way that this rapid expansion would only occur in the early universe, and not in the later universe. Just to explain why the universe is the same, or looks the same, almost everywhere. The other grand idea that has been developing is the one that Brian has written so elegantly about, which is the idea of string theory, that everything in nature is made of quantum vibrating strings, and that we can derive a simple unified theory to explain all the physical laws that we see. The hope was that string theory would explain the microphysical world, and inflation would explain the macrophysical world. What have we learned from these two grand theories, inflation and string theory? Well, in the last few years, especially in the last decade, we've learned that—at least to my way of reckoning things—neither of them is really delivering on their promise. It turns out inflation doesn't do what we originally thought it did back when it was introduced in the 1980s. It doesn't take an original initially complicated inhomogeneous, non-uniform, curved and warped universe and flatten it out everywhere—and leave it with a universe which is full of matter that we see, which is then smoothed and flat. Instead, what inflation does, once it takes hold, is continue to make a more and more inflating universe, only occasionally leaving behind a few pockets of universe that have matter that we would recognize and that might be inhabitable. And in fact, among those pockets, it seems that the pockets that would look like the ones we observe would be exceedingly rare. So whereas inflation was designed to explain why the universe is as uniform as it is, and why that's a likely occurrence, it seems that the theory is actually leading us to a point of view where with inflation we are actually unlikely to find pockets of the universe that look as smooth and flat as we observe. Similarly, the hope for string theory was that it would uniquely explain why the laws of physics are what they are. But developments over the last few years suggest that actually string theory doesn't make a unique prediction for the physical laws—there might be a google, or many googles, of possibilities. And the ones that we happen to observe are not particularly likely—at least there is no reason why they should be likely. So a key conclusion according to the current view of string theory and inflationary theory is the fundamental nature of the universe is random. Although the universe seems to be remarkably the uniform everywhere as far as we can see, our leading theories currently suggest that the conditions we observe are actually very rare and unlikely phenomena in the universe entire. And I wonder what Einstein would have thought about that. I wonder if he would have found that idea that is, a theory of this type, to be acceptable. My own point of view is that we have to change one or both of these two key components of our understanding of the universe. We either have to dramatically revise them, or we have to overhaul them entirely, replace them with something that combines to make a powerful theory that really does explain, in a powerful way, why the universe is the way that it is. ISAACSON: Why is there such a personal theological argument—I can see it between the Sam Harris's and the Dawkins's on the other hand and Christopher Hitchens versus those who are strong believers—that when people start debating string theory their faces turn red. STEINHARDT: I think it's for the reason that I was beginning to raise. In my view, and in the eyes of many others, fundamental theory has crashed at the moment. Instead of delivering what it was supposed to deliver—a simple explanation of why the masses of particles and their interactions are what they are—we get instead the idea that string theory allows googols of possibilities and there is no particular reason for the properties we actually observe. They have been selected by chance. In fact, most of the universe has different properties. So, the question is, is that a satisfactory explanation of the laws of physics? In my own view, if I had walked in the door with a theory not called string theory and said that it is consistent with the observed laws of nature, but, by the way, it also gives a googol other possibilities, I doubt that I would have been able to say another sentence. I wouldn't have been taken seriously. GREENE: You really think that? I don't mean to get technical, but take the standard model of particle physics, which is the quantum field theory that people have developed over the course of a number of decades and that we generally view as the most solid, pinnacle achievement of particle physics. When you look at the framework within which the standard model of particle physics sits, namely relativistic quantum field theory, you do find that there are a google, if not more, possible universes that that framework is capable of describing. The masses of the particles can be changed arbitrarily and the theory still makes sense, it's internally consistent; you can change the strengths of the forces, the strengths of the coupling constants. So if you see the standard model, the one that we all think is so spectacular, within the landscape of theories that that framework can give rise to, it seems to me that when you walk in the door and you say, I've got this theory called the standard model to describe all physics, isn't everybody excited? If I were to use the same benchmark for judging it, you would think that I would ignore it as well, since it actually is part of a family of theories that can describe a google of different universes. So how is that any worse than string theory? STEINHARDT: Well I think there is a key difference, which is that no one believes the standard model is the ultimate theory, and string theory is claiming to be the ultimate theory. GREENE: I guess I would say it is unfortunate that people get worked up over that kind of advertising. If you look at the history of string theory, I agree with you; there was a time when people thought this could be it—the final theory that would describe everything. In fact, it still may be it. But I think there was a certain kind of youthful exuberance that took hold when the theory was in its early infancy in the 1980s and early ‘90s and so forth, which perhaps was a little bit unfounded because it was such an immature theory that you really couldn't make pronouncements about it that you could have any real faith in. I personally, as do I think many string theorists, view string theory as a possible next step towards a deeper understanding of the laws of physics. It could be the final step, we can't judge yet. But I think the most sober way of looking at it is that we have quantum mechanics, we have general relativity, we have to put them together in some consistent way, string theory is a possible way of doing that, and therefore we should explore it and see where it goes. I think it would be unfortunate if simply by virtue of it's being advertised within a certain framework of it being the final theory, one then judges it differently from any other scientific theory, which is on its merits. STEINHARDT: That's a stupendous retreat from what many people have claimed. GREENE: You really think so? STEINHARDT: Yes, sure. And it’s worse than that. Some people even claim this idea that you have this googol or perhaps infinite number of possibilities is something we should come to accept, that it's now derived from string theory, that string theory should be accepted as true, and since it has led to this multiplicity of possibilites, we should all accept this conclusion as true. GREENE: Naturally, scientists quite generally and string theorists in particular often describe their work without giving all of the associated qualifications all of the time. I, for example,have spoken of string theory as a possible final theory, as the possible theory that would unite all forces and all matter in one consistent framework—and I generally try to say—but perhaps not always—that this is not yet a proven theory; this is our hope for what it will achieve. We aren’t certain that this is where it is going to lead. We just need to explore and see where we land. Similarly, I think that if you sat down and spoke to the folks you're referring to in a more informal setting—who talk about having all of these different universes emerge from string theory and about how it's a new framework that we have to think about things–in which we are one of many universes—they would say, yes, what we really mean is, this is the place string theory seems to have led us so we want to explore it. Is it necessarily the framework? I think most of them would say, we don't know; we are just shooting in the dark because this is our best approach to unified general relativity quantum mechanics, and we're going to explore where it leads us. They are not necessarily saying that this is definitely where it goes, because that's the nature necessarily of research: you don't know where it's going to lead, you just keep on going and see where it takes you. STEINHARDT: But what angers people is even the idea that you might accept that possibility—that the ultimate theory has this googol of possibilities for the laws of physics? That should not be accepted. That should be regarded as an out and out failure requiring some saving idea. The fact is that, everywhere we look in the universe, we see only one set of laws. Also, the universe is smooth and uniform, smoother and more uniform than we need for humans to existence. Yet, we are asked to accept the idea that the greater universe beyond where we can see is completely different. Is that science, or is that metaphysics? ISAACSON: That's exactly it: we were talking about why it is that it arouses such passion and then started directly debating string theory. I'd love to take it right back to Einstein—twice you said something that I find very interesting, which is, we have to find a way to make his two grand pillars of 20th century physics compatible, general relativity and quantum theory. Of course Einstein totally would believe that, because he loved unification, he loved unity. Secondly he and Newton agreed on one big thing, which is that nature loves simplicity. But I've always wondered about the more metaphysical philosophical question: how do we know that God likes simplicity? How do we know he wants these things to be compatible? How do we know that quantum theory and relativity have to be reconcilable? GREENE: There are actually some people who suggest that they don't necessarily have to be compatible. I've never really been convinced by their arguments at all; to me it seems evident that the laws that we are talking about, and quantum theory in particular, are not meant just to describe small things—that's where it was developed and that's where its unusual features manifest themselves more strongly, but quantum theory is meant to be a theory that applies everywhere, on all scales. General relativity starts as a theory that describes big things because that is where gravity matters; but when you look at the equations of general relativity, in principle they can apply on arbitrarily small scales. The thing is, when you get to really tiny scales, you notice that there is a deep incompatibility between the two theories and moreover, you realize that there are realms of the universe that enter those domains. You have, for instance, a black hole, which you can say begins as a star that then exhausts its nuclear fuel, it collapses under its own weight, it gets smaller and smaller – at some point the star gets so small that quantum mechanics really starts to matter in a significant way. Gravity matters the whole time because it is so heavy. If those two theories don't work together, how do you describe what happens to this collapsing star? ISAACSON: That's true of the Big Bang as well? STEINHARDT: Yes and that is why cosmology is the key battleground for trying to sort out how quantum physics and gravity relate. You can't avoid using them both to understand where the universe emerged from, or whether it had a beginning, or what happened before the bang. ISAACSON: And it is impossible to imagine a cosmos in which those two theories aren't in some fundamental way totally reconcilable? STEINHARDT: It would be a mistake. It would be inconsistency. GREENE: Although Freeman Dyson seems to have unusual views on this. ISAACSON: And that's where I got my question, but I tried to avoid Freeman Dyson because I was afraid I would totally misunderstood even his question. STEINHARDT: But you ask a good question, and how do we know? The answer is, we don't know that things have to be simple. But a couple of interesting things have happened historically as we have followed that line of reasoning. We've managed to push the program of understanding the universe to small scales and large scales, by pursuing this approach of looking for simplicity. Particularly when we look at the cosmos; now we can see out to the farthest observable edges of the cosmos, we can see that the laws of physics are the same, and that the physical conditions are also remarkably similar throughout observable universe. ISAACSON: So it's a fundamental part of the program of thinking that the laws are unified at some level, and that we'll eventually get to more simplicity, not more Byzantine complexity in the laws of nature? GREENE: So long as you're willing to adjust the measure of simplicity and complexity as you learn more and more about the universe. If you were to present quantum mechanics to Newton, at first it might seem fairly complicated because it uses a completely different body of mathematics, different kinds of ideas, invokes concepts that you can't directly see, and that certainly feels like it's a layer of complexity. But when you study it for many decades and you become used to its unusual features, you look at it and you see that it is just one simple little equation—Schrödinger's Equation. From a pure mathematical standpoint, it's a linear equation—in technical terms, the simplest kind of equation to analyze—and it describes data. So your sense of what is complicated and simple now gets shifted by a layer, because you're judging this framework, which to a 16th or 17th century scientist might seem really bizarre, but from a modern perspective, it works and you attune your aesthetic sense so that it actually feels pretty elegant, and pretty simple. GREENE: It's become hackneyed, but if a theory is so simple that its deep equation can be put across a T-shirt in 20-point type, then we generally view that as fairly simple. Certainly that is the case of both general relativity and quantum mechanics. ISAACSON: There's a wonderful book that Einstein wrote called The Evolution of Physics with Leopold Infeld in 1938, which is not easy to find. I've gone over it again two or three times because I just love the way it was written. It was written to make money for both of them, because it's the 30s, and Hitler, and refugees and stuff. It's a popular book, but it has a deep philosophical argument, and the publisher is reissuing the book because I was pushing them to get it out there. The deep philosophical argument is that it will be a field theory approach that will work. It starts with Galileo; he talks about matter and particles, and just makes the argument that in the end it is all going to be reconciled through field theory. It's about whether there is going to be a great distinction between a field theory and a theory of matter. GREENE: You can even take that question one step further, which is, is there even a distinction between, say, a field theory, which has been so successful, and a string theory, which appears at first sight to invoke different ideas from what you would get if you were just doing a purely field theoretical approach. ISAACSON: Isn't the mathematics different, though? GREENE: A mathematical language that feels non-field theory, that looks non-field theory, and then you have a field theory framed in language of quantum field theory, and they seem different, they look different, but a lot of work has been done to set up the dictionary that allows you to say, this element of this is that element of that and vice versa, and you realize that they're actually talking about the same theory; just in a different language. ISAACSON: Is that sort of a reflection of the basic duality that is at the heart of quantum mechanics? GREENE: No, I think this is a different kind of duality—and Paul has a different view of this—because the dualities that you're referring to sort of are inherent in each of these approaches, irrespective of the fact that they happen to be talking about the same theory. It is a completely unexpected and deep relationship between them but fundamentally shows that string theory actually isn't that different from field theory; it is field theory, it's particular kinds of field theory, just organized in a different way, making it look different at first sight. But it basically confirms what you were saying from that book of 70 years ago, that field theory seems to be the tool that will take us to the next step. STEINHARDT: I'm not sure how much faith I put in claims like that, because that's basically talking about what what mathematics you use. It would be equivalent to saying that the explanation is going to involve calculus. And while it is likely that field theory will be among the useful mathematical tools, it's likely that we are going to have to discover some new mathematics along the way to get to a final answer. I think most of us, Einstein included, tend to focus less on the tools and more on the underlying physical concepts. ISAACSON: Einstein felt a little bit that way, I think, as quantum mechanics progressed in the late 40s; he was an old guy, but he kept discovering more and more particles and more and more forces that he was not even willing to accommodate as he stood there at his blackboard with Valentine Bargmann and Peter Bergman and all of his assistants. But he was vaguely depressed by the fact that nature seemed to like more and more forces and particles to be discovered that were not reconcileable. STEINHARDT: Although I would guess that Einstein would love the concept of string theory. Not all string theorists feel the same way, but I view it as the fulfillment of Einstein's program of geometrizing the laws of physics. Einstein took gravity and turned it into wiggling jello-like space, and now string theory turns everything in the universe, all forces, all constituents into geometrical, vibrating, wiggling entities. String theory also uses the idea of higher dimensions, which is also something that Einstein found appealing. What I was commenting on earlier was where the string program has gone recently, which I described as a crash. I can’t say for sure how Einstein would view it, but I strongly suspect he would reject the idea. I read an interesting quote from Einstein—I think in the 50s—in which he said that he was noted that he had failed at constructing a unified theory and expressed his concern that it would be a very long time before there was any success. The reason, he claimed, which I thought was interesting, was because physicists no longer know about logic and philosophy. He did not mention mathematics, but rather logic and philosophy. ISAACSON: What he really felt there was that he had become more and more of a confirmed realist, or a scientific realist, and he felt that it was a philosophical question; that there was an underlying physical reality independent of our observations of it, and that's what science was supposed to discover. And because that became so out of fashion with—he called them neo-positivists—you can call them whatever you want, but I assume most people in the forefront of quantum mechanics would not subscribe to the theory that there is underlying physical reality independent of any observations of it, which is a philosophical pillar on which you build science. And that was his philosophical problem. STEINHARDT: I interpret it differently. By that time, something that might be called an American attitude towards physics had taken over. It was an attitude where the connection between physics and philosophy was broken. You were supposed to focus on what was calculable: take your theory, make predictions with it, calculate with it, test if your calculations are right using experiments; and just stay away from philosophical questions. With this approach, the ideas was that we can systematically inch our way forward in science. ISAACSON: Yes, that's a good point. He could certainly have meant that, because he believed that, too. STEINHARDT: So that in fact the reason why unified theory from that point of view would be beyond our reach is because, if you didn't have deep philosophical principles to guide you, you just would never find your way. I thought that was an interesting quote because it reflects some of my concerns about where both cosmology and fundamental physics are going—that maybe they've lost their way. Of course it's unfashionable to appeal to philosophical viewpoints. But maybe that would be a healthy thing. GREENE: No, I’m not referring to those undertakings at all. We have a group that's trying to address questions such as the arrow of time. Where did the arrow of time come from? Why does time seem to unfold in one direction but not in reverse? This is a question that philosophers have really studied intently for a long time, and they have refined the question in such a way that when we talk about various possible solutions, they're able to see the solutions and say, well actually wait a second, you're actually assuming the answer in the solution in some hidden way that we've long since parsed out and let me explain to you how that goes. We've found it very useful to talk to philosophers who perhaps haven't studied quantum field theory with the kind of technical intensity that a graduate student or a researcher in physics would have, but they have taken a step back and sort of looked at big questions, and really thought them through at a fundamental level. And that's actually extraordinarily helpful. 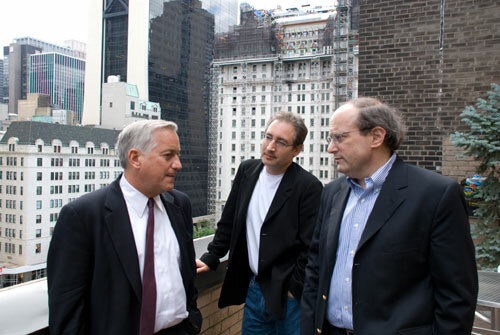 ISAACSON: To get it back to the history—in the period from 1900 to 1915, which is to me—maybe because I'm a bit prejudiced by having worked on Einstein so much—a period of great explosive creativity. It's a period in which both quantum theory and relativity theory were developed, so much of that development was driven by philosophy and philosophers. If you ask Einstein who were his most important influences, he would get to Michelson and Morely at about number 3,500, or if at all. Every now and then he would "yes, I don't know if I ever read them, but Ernst Mach and David Hume—those are the people we were discussing all the time, and those are the people that led us to make the creative leaps that we had to make in that period. It's an interesting question to ask why it is that between 1900 and 1915 we have such creative leaps, obviously in science, but even Stravinsky and Shoenberg saying, okay, we don't have to stick to the classical bonds, or Proust and Joyce, or Picasso and Kandinsky—breaking the classical bonds. But especially in science, the leaps seemed to have been pushed by people like Ernst Mach, who are almost more philosophers than they are physicists. STEINHARDT: My impression is that this began to break down with the developments of quantum mechanics in the 1920s, where after a certain effort to struggle with the interpretation of it, there did come this attitude that said, okay, let's stop worrying about its interpretation; what we know we can do with it is to calculate and make predictions of new phenomena. And there were so many new phenomena to examine that it occupied generations of theorists to pursue this line of attack: ignoring interpretation and philosophy and just going forward in a straight line with these calculations. Then, once that historic connection with philosophy was broken, it became disparaged. It was considered that philosophy might even distract you from discovering something interesting. But now, it might be that it's time to return to it. You see, great progress had been occurring because physicists were asking questions that could be tested almost immediately—the rapid interplay between experiment and theory was going back and forth for nearly a century. Every time a new observation would come in, or a new experiment would be performed, there would be a new question; you could do a new calculation; and someone else might do the next experiment—new physics was flowing from theory to experiment and back again very rapidly. But now we've reached the stage where the time between major experimental breakthroughs in fundamental physics is very long—decades in the case of particle physics. We don't have experimental guidance, and we don't have the philosophical underpinnings, either. Maybe we don’t just need new experiments. Maybe we need to look back to philosophy for guidance. GREENE: In the PBS special on string theory that aired some time ago, there were a number of people who were interviewed about the fact that string theory had not yet made predictions that could be tested. And the framing of that fact by a number of physicists interviewed was, if string theory can't make, or doesn't make, those kinds of predictions, it becomes philosophy, not physics. As I watched the series, I kept saying to myself, the poor philosophers—philosophy is not bad physics,, it's not physics that hasn't reached its goal. It's just a way of analyzing pathways towards truth that perhaps don't use as much mathematics as the physicists and mathematicians typically do. There's a lot of insight yet to be tapped from the philosophical community, and I imagine that we'll go through a cycle where that kind of interaction happens more and more. STEINHARDT: Yes. In fact one of the interesting turns of events in string theory we've been talking about is the idea that there's a multiplicity of possibilities, and one of the approaches for dealing with it is the anthropic reasoning—to use the fact that we exist as a kind of selection principle. That turns out to be territory that philosophers have thought about quite a bit. They're far ahead the physicists in terms of realizing the flaws and the trapdoors. GREENE: I agree with you completely. Could we just come back to the assessment you gave string theory a little while ago in terms of having crashed—that seems to me a pretty strong negative assessment, and I wonder if I'm hearing you fully, or if it's more nuanced. When one looks at the history of string theory, the achievements have been manifold, as you are familiar with—the insights on space-time singularities, mirror symmetry, topology change, the ability to understand certain symmetry structures, the ability to give insight into the possibility of having a generation structure in the families of matter particles, the insights that it's given on gauge theories as a general structure and in particular being able to realize gauge theories that we're familiar with—and all of these features on top of it putting together general relativity and quantum mechanics. Now, I agree, and I'm actually all too happy to say that we have a ways to go, because we've not made that direct contact with experimental observation. But to me, we just have a road ahead of us that we still need to travel. Whether it will ultimately take us to those predictions or not, the future will tell. I don't think we can judge now and say that the program has crashed. I can say the program has gone spectacularly far, but we definitely have further to go until we know whether what we're doing is right or wrong. Is that not a good assessment in your view? GREENE: The only reason I interrupt you is because I've heard a number of people take a similar perspective, which is to listen to a couple of string theorists who are pushing one particular point of view that maybe this is the endpoint of string theory—that there are many many universes, we're one of that many and there's no further explanation to be had. It may be right, it may be wrong, but I certainly don't at this point say that that's the endpoint of string theory. That's a way station that some people are exploring, and others are pushing on other pathways. GREENE: But the many universe version of string theory—is that what you mean? STEINHARDT: Yes. But let me hasten to add that I can envision several ways to escape from this crash. One is: discover some new ideas in string theory showing that the multiplicity really isn't really predicted by string theory. After all, the mathematical case is not firm. Or, second, even if there's a multiplicity, perhaps one can find some reason why almost everywhere in the universe should correspond to just one of these possibilities, namely the one we actually observe. Or, maybe string theory in its present form is fine, but you have to change the cosmology, and that change removes the multiplicity. All these rescues are conceivable to me. What I can’t accept is the current view which simply accepts the multiplicity. Not only is it a crash, but it's a particularly nefarious kind of crash, because if you accept the idea of having a theory which allows an infinite number of possibilities (of which our observable universe is one), then there's really no way within science of disproving this idea. Whether a new observation or experiment comes out one way or the other, you can always claim afterwards that we happen to live in a sector of the universe where that is so. In fact, this reasoning has already been applied recently as theorists tried to explain the unexpected discovery of dark energy. The problem is that you can never disprove such a theory … nor can you prove it. STEINHARDT: You could imagine it, but you could never prove it, experimentally. GREENE: No, my point is, mathematically you could find that in each of these universes property X always holds. STEINHARDT: Do you mean as derived from string theory? I don't believe that's true. I don't believe it's possible. STEINHARDT: Well, I believe that if you came to me with such a theory I could probably turn around within 24 hours and come up with an alternative theory in which property X wasn't universal after all. In fact, you almost know that's true from the conversation that's been happening in the field already, where someone says, these properties are universal and these others are not. The next day, another theorist will write a paper saying, no, different properties are universal. There are simply no strong guidelines for deciding. GREENE: I agree that that's definitely been the way things have unfolded. But I thought I heard you say that you couldn't imagine being able to disprove a theory that had this kind of framework and I'm just setting up a way in which one could disprove it. STEINHARDT: That may be true in principle, but, in practice, I don’t think this would ever occur. If a version of string theory with a googol-fold multiplicity of physical laws were to be disproved one day, I don’t think proponents would give up on string theory. I suspect a clever theorist would come up with a variation that would evade the conflict. In fact, this has already been our experience with multiverse theories to date. In practice, there are never enough experiments or observations, or enough mathematical constraints to rule out a multiverse of possibilities. By the same token, this means that there are no firm predictions that can definitively decide whether this multiplicity beyond our horizon is true or not. GREENE: I agree with you. But just so I understand; you're saying that this one particular way in which one may think about string theory—for which the endpoint is many many universes—is unacceptable. STEINHARDT: Right. I claim it needs to be fixed. STEINHARDT: That's right; so it's just what you were saying; some people say that is the endpoint, and I'm saying that's not acceptable. If you believe that, it's time to abandon it. GREENE: But it's those people who've crashed. STEINHARDT: Yes, it's that point of view which is a crash, and needs a fix. I am not arguing that string theory should be abandoned. I think it holds too much promise. I am arguing that it is in trouble and needs new ideas to save it. But let's get back to Einstein. One interesting question to consider about Einstein is how his generation of physicists were radicals, and were replaced by a generation of physicists that would be considered conservative. ISAACSON: What is particularly interesting to me is that Einstein was a radical who in 1925 becomes replaced with Einstein who's a conservative. That's overstating it a bit, but right as he makes his last contribution of greatness to quantum theory—basically the whole Bose-Einstein statistics—he almost instantaneously is spinning around into a defensive crouch and resisting everything from the lack of realism to the lack of rigid causality in quantum mechanics, and he's calling them the young Turks at the Solvay conference 1927-1931, and they're calling him ridiculously conservative and that saying he had abandoned your radicalism when he used to challenge everything. It's a theme that goes well beyond physics, which is, why is it that what at age 50 you used to think of yourself as a radical, and then you become age 50, and whether you're editing Time Magazine or doing theoretical physics, you start saying things like, no, we can't do that, we've tried that before, or, it doesn't work. I were to give a real reason for Einstein's basic conservatism, it would go back to what Paul was talking about, which is the philosophical, which is just that the concept of realism is so at the core. There are three or four reasons that he doesn't like quantum mechanics, and if you had to pick one, it's not probabilities or the end of strict causality, even though he says strict causality is the greatest enduring gift that Newton gave us, it's the abandonment of realism, and to him that becomes a pillar of classical physics. If you have to define conservatism, I assume the definition would be, defending the classical order as opposed to radically throwing out the old order. That's what he quits doing in 1925.